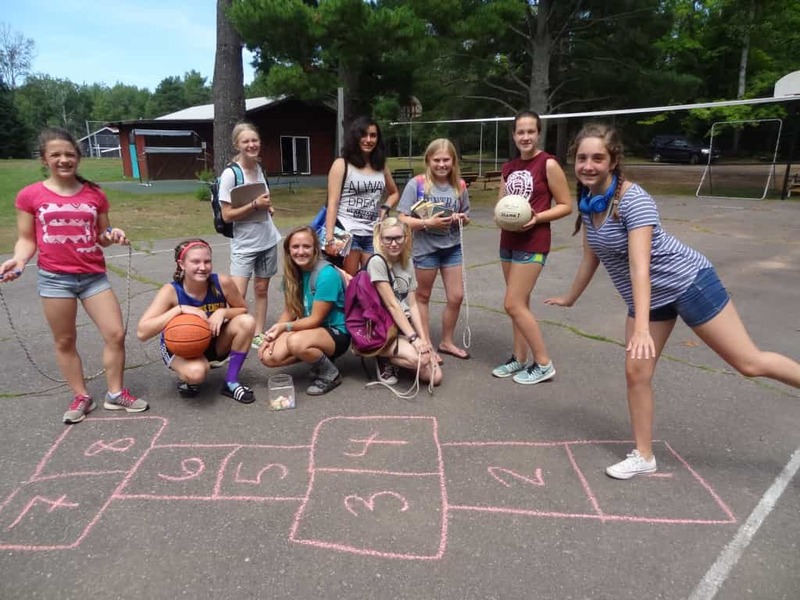 Camp Woodland | Happy Back to School from Hilltop! Happy Back to School from Hilltop! Throughout the upcoming year, each month will have a blog that is “sponsored” by a different Woodland cabin from the Summer of 2016. 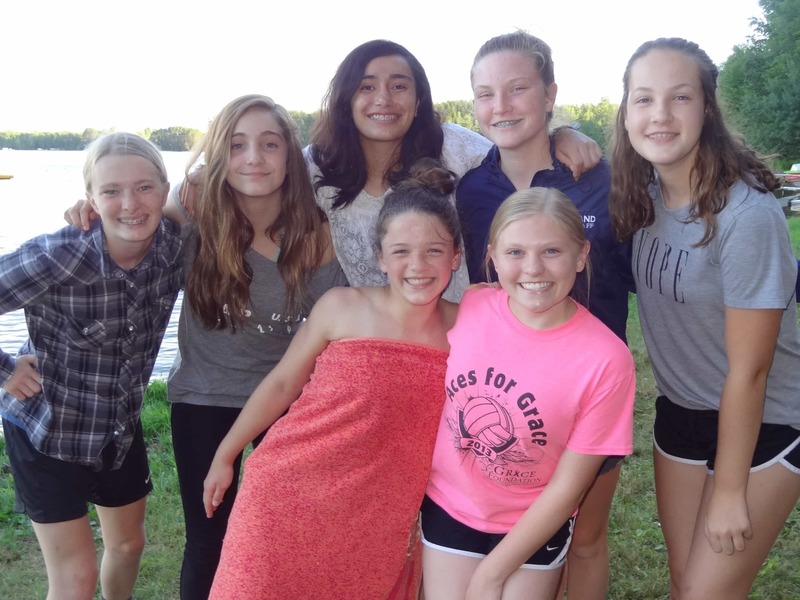 Each camper wrote her “best moments at camp”…here is a little more about Hilltop! Parker: When I could finally consistently pick up the right lead in riding. Cameron: Hilltop canoe trip, while it was terrifying to be woken up in the middle of the night during a heavy thunderstorm, it is hilarious to look back on now. It was fun in a weird kind of way. Emilie: Going to the Aqua Tramp and Ugly Counselor Contest. Stefi: Our canoe trip because I did a lot of new things. 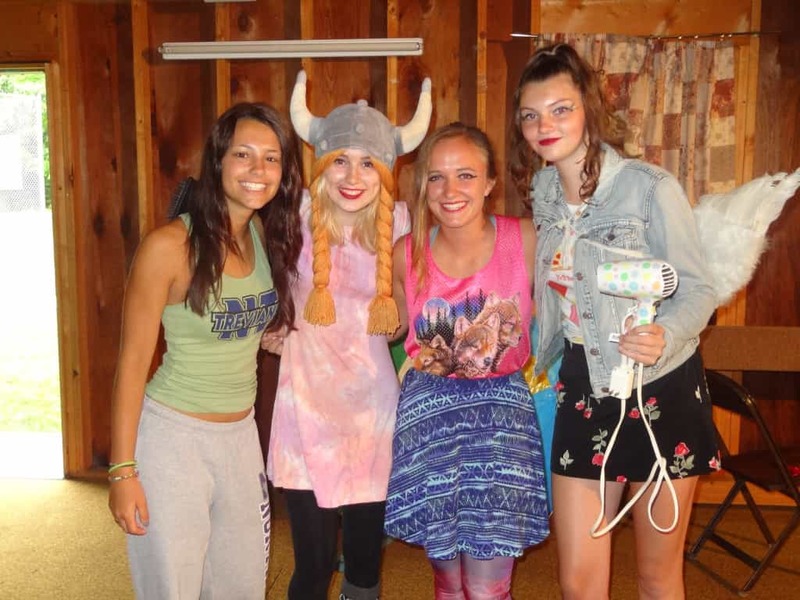 Fer: Our canoe trip…we had the time of our lives! Jae: The Ugly Counselor Contest because of how funny all the counselors were! It was fun making our counselors look “ugly” and decide what they had to do. Molly: Sitting in a soaking wet tent on our canoe trip. Parker: I explored Woodland’s Climax Forest during canoeing class, and I learned to canter at riding. I wakeboarded a lot and swam in the lake. Cameron: I signed up for riding after hardly doing it for a year and a half. Emilie: Canoeing across the lake and riding Western at TP. 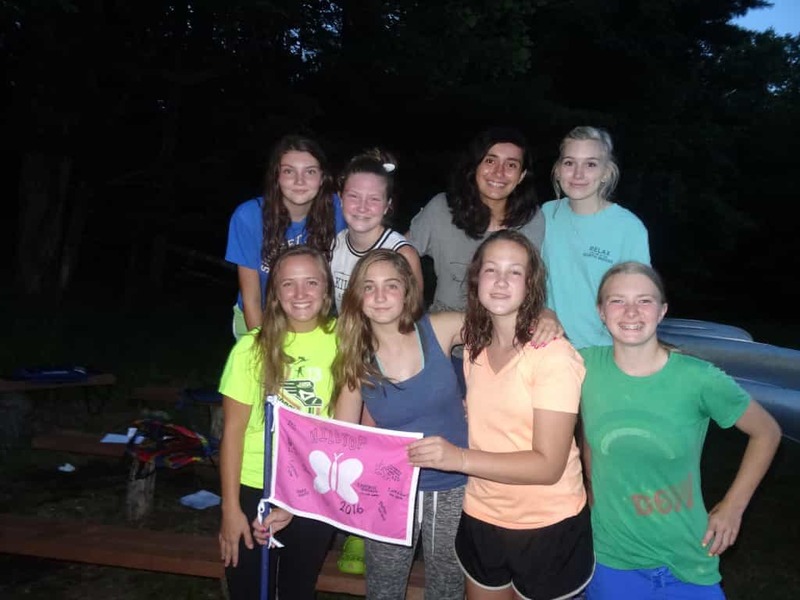 Stefi: The Ropes Course was a really incredible and awesome thing to do. Fer: When we started to canter in riding – it was SO FUN! At first it was really scary, but then I had a super good time. Jae: Going on our cabin canoe trip and having the tarp blow off and rain come in. Looking back on it now, it was a fun time! Molly: I went to the Ropes Course, and I walked on a log that was super high off the ground, and I wasn’t scared. I also did the “human slingshot”, and it was awesome! Parker: Passing my beginner in tennis and trying new things. Cameron: Passing out of swimming lessons after three years of being in levels 5 and 6. Emilie: Learning how to canter in riding and passing levels in archery and riflery. 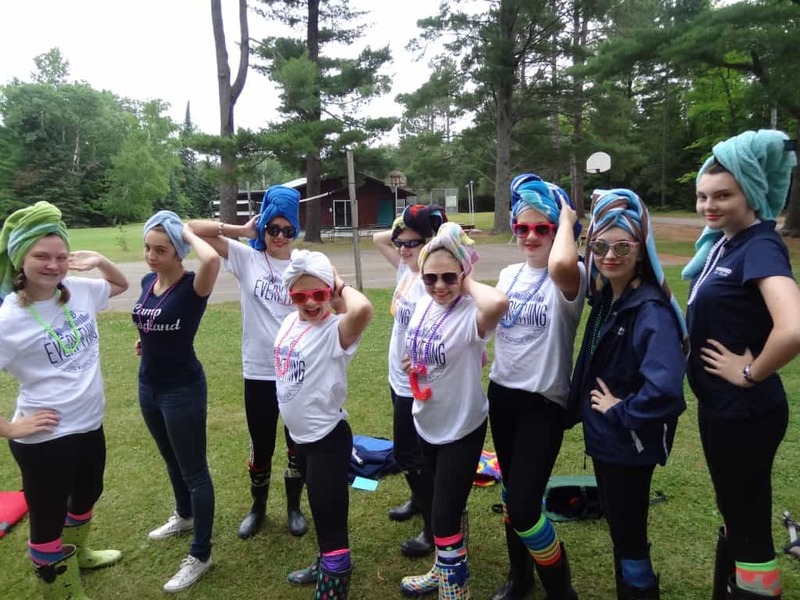 Stefi: Being in level 6 for swimming during my first year at camp. Fer: I improved a lot in tennis; I felt that each time I hit the ball, I got better. Jae: Passing my black yoeman and bowman in archery. Molly: I passed my beginner in water-skiing, and I am getting a lot better at it! Parker: That I could be exploring and adventurous at times. I learned that I can live on the “wild side” once in awhile. Cameron: I am horrible at playing games where lying is involved. Emilie: I love riding horses and to shoot in archery and riflery, and I want to continue these activities at home. I am proud of learning how to pee in the woods. Stefi: I am a fast learner and that helped me a lot in all of the activities. Fer: I can open up to new people easily. Jae: It is really easy for me to make new friends at camp that I can be myself with. Molly: I am not afraid of heights, and I can talk to anyone I end up with!